Bunbury – Monday 21st October, Northern – Wednesday 23rd October, South Eastern – Friday 25th October, Southern – Monday 28th October, Coastal – Wednesday 30th October, Central – Friday 1st November, City – Monday 4th November, Riverside – Wednesday 6th November, North Western – Thursday 7th November, Grand Final – Thursday 14th November. This is a competition that has been running in Western Australian primary schools since 1998. It began with two divisions of 18 teams playing in qualification rounds before a final, and has steadily grown in numbers. In 2005, there were four qualifying rounds, and in 2006, due to increasing interest from country areas, one of the qualifying rounds was held at Geraldton, from which three teams qualified to compete at the final in Perth. A Geraldton heat occurred again in 2007 (with 18 teams), while a qualifying heat was held at Esperance (with 12 teams), from which one team won a place in the final. The year 2008 saw this support for Numero® increase, with five qualifying heats, one each in Geraldton and Esperance, and three in Perth. In 2009, the competition grew to include four Perth heats and two country heats, and in 2010 grew again to five Perth heats and three country heats (including Bunbury for the first time). 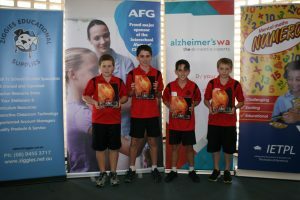 2011 saw the AFG Interschool Numero® Challenge continue to grow with ten heats, four in the country and six in Perth. Geraldton, Esperance and Bunbury continued, with the addition of a heat in Manjimup, in the Warren-Blackwood region. 2012 has continued on with more schools participating in the existing ten heats. In 2013 the Challenge grew yet again, with a fifth heat in the country (a second Bunbury heat) and a seventh heat in the metropolitan area. This has altered slightly in recent years, with every year having 12 heats but the disbursement being slightly different each year depending on registrations. 2018 saw 4 regional heats (Geraldton – 2 heats, Esperance – 1 heat, Bunbury – 1 heat) and 8 metropolitan heats. Teams compete for generous book prizes, at both heats and finals, while the winning teams in the final also win cash prizes for their school of $1000, $500 and $250 respectively. Like Numero®, AFG originated here in WA, and, in fact, the Interschool Numero® Challenge is just one year younger than AFG. However, both have grown far beyond the boundaries of their state of origin. Numero® has spread, not only throughout English-speaking countries (including the UK, Ireland, New Zealand, USA and Canada), but also through SE Asia, Japan and Korea. AFG has experienced spectacular growth and is Australia’s largest mortgage broker, and one of the faster growing holistic providers of financial services. We are honoured and proud to have developed this association with them, and have now had their support for eleven years, with 2018 entering the twelfth year of their sponsorship. It is thanks to AFG that schools compete for prizes at both heats and finals, with generous cash prizes awarded to the top three schools in the final. 2010 began the awarding of extra cash prizes, with first place winning $1000, second place $500 and third place $250. Since the inception of this competition in 1998, Edwina Forward Engraving (EFE) has provided all our trophies without charge. In 2007, they provided a new perennial shield, as well as engraved medallions for the winning team, to mark the 10th anniversary of the competition. EFE have been an amazing supporter of Numero®, and we truly appreciate our continuing association. The 21st year of the Interschool Numero® Challenge saw continuing interest from WA schools. The thirteen heat winners (we had one tie) (in alphabetical order) were: Allendale Noxious Numerators, Aranmore Subtraction Samurai, Belmay Brainiacs, Bletchley Park Decimators, Castletown Mathematical Marbles, Collier Ninjas, Comet Bay Magic Maths, Duncraig Detectives, Leschenault Dividers, Mullaloo Beach Strikers, St Lawrence Fast & Curious, St Mary’s Crazy Calculators and Willetton Warriors. The remaining five places in the final went to the next highest scoring teams (in alphabetical order): Allendale Maths Menaces, Collier Math Masters, Ranford Number Kings, West Greenwood Warriors and Willetton Wizards. Allendale Primary School from the mid-west town of Geraldton have now gone back-to-back (just!) beating Duncraig Primary School by the the small margin of 5 points (1 more than their win last year!). This makes Allendale the first regional school to win back-to-back and only the second regional school to win more than one championship. 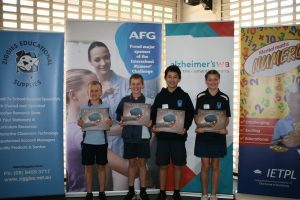 The event produced a good showing across the board, with 2nd to 6th positions going to Duncraig Primary School, Castletown Primary School (Esperance), West Greenwood Primary School, St Lawrence Catholic Primary School (Geraldton) and Aranmore Catholic Primary School respectively. Some particularly good outcomes with these results being the best ever for Castletown, West Greenwood, St Lawrence and Aranmore. This year’s Numero® final was held at West Greenwood Primary School. VIP Presenters: Our special guest on the day was Mr Jeremy Wealleans, WA State Manager, Australian Finance Group (AFG), who were the sponsors of the event for the twelfth year in succession. Jeremy presented the prizes for position winners, as well as the trophies to our winning team from Allendale Primary School. We are extremely grateful for the ongoing support of AFG and look forward to their continued association with Numero® in WA. Our other guests included Mr Garry Hewitt, Assistant Executive Director, Early Childhood & Aboriginal Education, Department of Education WA; Ms Rhonda Parker, Chief Executive Officer, Alzheimer’s WA; and Mr Andrew Durnin, Director, Ziggies Educational Supplies.